Absolutely The Hague! – A city to Love! 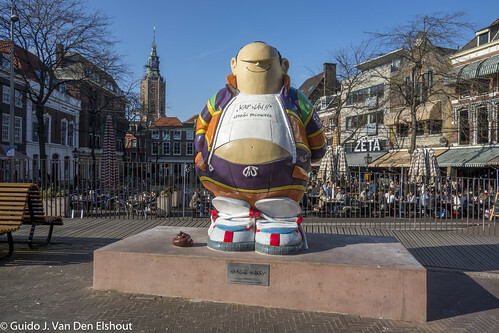 Marnix Rueb was the author who gave the Hague its own strip hero, Haagse Harry, or The Hague’s Harry. Marnix died Oktober 23, 2014. January 26, 2016 a statue of Harry was placed in the city centre. As you can see has it a special FaceBook like hand at the back as ever as anarchistic as Harry was. Recently I’ve spent a couple of days in Venice. There I took this candid of an ad in one of its Vaporetto’s that function like a bus or tramline in other cities. Just as a reminder for some advice to The Hague. A short introduction, who are you and where did you live before you moved to The Hague, what’s the biggest difference so far? Before moving to the Hague I lived in a small town in the north of Namibia, Otjiwarongo. Otjiwarongo is so small if you close your eyes as you arrive by car you will miss it when you exit before having glimpsed it. There is not much to do as it’s really a town that supports the farmers in the region. There are shops, bistros and a great community however, it’s not the ideal place to work on your music career (though it does offer inspiration for song lyrics).Compared to the Hague, which is culturally so rich with theatres, museums, festivals and music, it’s absolutely two different worlds. Which location is the best kept secret for relaxing? I take my dog for his morning walk in the Scheveningen Bos and it has become my place where I let my thoughts wander, and have my head cleared. There I witness all the seasons change which has become something dear to me, seeing from one day to the next the bos explode with spring. In Namibia, seasonal change is from drought to dry to rain. The Hague is known for its extensive list of events & happenings throughout the year, which is your favourite? Parkpop, it’s the biggest festival in Europe right here in The Hague with great international artists playing. Where do you go to get the most tasty meal? My favourite little restaurant is called Ruen Thai in The Hague. It’s very small and intimate and feels like your mother is cooking a delicious meal for you. Which bars are the best places to meet new people without feeling an outsider? Cafe de Bieb and Cafe de Libertijn are my favourite hang outs, one can have a beer and snack and meet people from all over the world in a “gezellige” environment. Obviously you are a music buff, which place in The Hague is the most inspirational for you as a musician and why? Paard van Troje, is the ultimate performance venue, where I would like to play. It’s the place for musicians who want to make a mark. With its immense history and 40 years of existence it’s the ultimate venue for musicians here in the Hague. Where is the next gig in The Hague? Our next gig in the Hague will be on July 18th where Danella Smith Band and Friends are performing at Cafe de Bieb a midsummer’s night fest. Please join us for this for a great, song-filled evening! If you’ve even been to the Grote Markt on a sunny day, then you will know that this is a popular meeting place. Chances are you probably didn’t even notice that there are several different cafes, as they all seem to melt into one big terras. Zeta does not necessarily stand out, but it’s literally next door to the more well known cafe the Zwarte Ruiter. Whilst each cafe attempts to create it’s own individual style, Zeta is the pearl. Zeta serves good coffee (bonus!) and there is truly a wide range of different people to be found throughout the day. For a cafe to appeal to such an eclectic crowd is quite unique. The hidden treasure for food lovers is the kitchen at the back of the bar, where scrumptious thai food is cooked with love and served by friendly staff. Even the most fussy eater will be happy here as they are capable to adjust to your individual needs. My tip is to order the Pad Thai, but you have been warned, only order if you are really hungry, this food fills! On my to eat list is the Crème de Brulée with lemongrass, I’ve just never been able to fit in so far. A couple of weeks ago I was invited for coffee at Grand Cafe Walter Benedict which had just recently opened. I was pleasantly surprised by the ambiance, service and the most important aspect: the cappuccino was really good, bonus! Walter Benedict serves breakfast all day, yes all day, they really captured the French atmosphere without overdoing it. The entire vibe is so laid back that I will definitely be going back again soon to try the food. 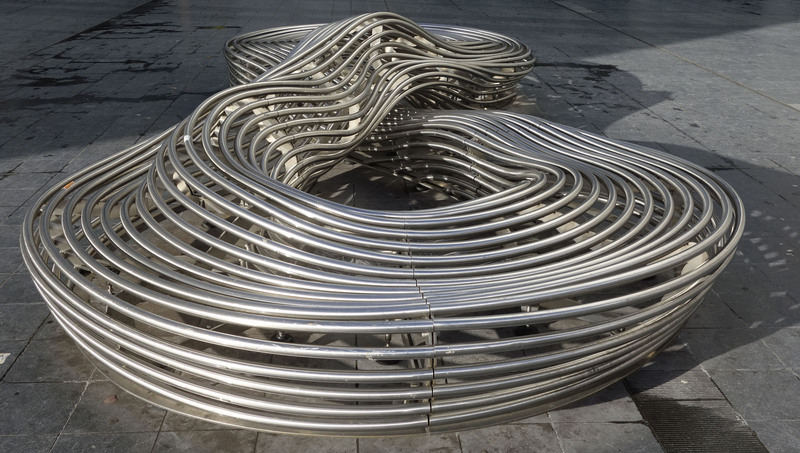 Dutch designer Sebastien Wierinck has designed several loopy benches for the Spuiplein. He named them BenchMark. 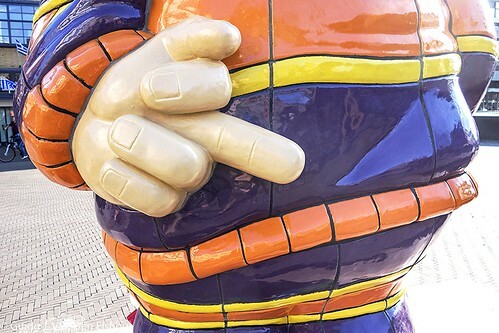 Will be publishing more and more The Hague photo’s as Picfair inspires me to do so. 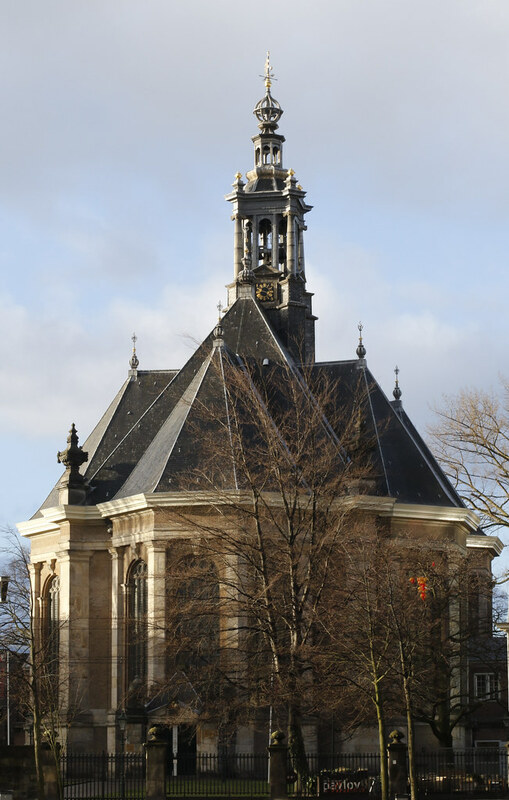 Nieuwe Kerk or New Church of The Hague was built between 1649 and 1656 according to a design by Pieter Noorwits, carpenter. Currently it is a a music hall, mainly for classical ensembles and choirs. I’ve discovered Picfair as an outlet for the amateur photographer to sell photo’s. I know the guy behind the site and believe it will be taking off as it is a bit different from the usual stock photo sites. We will see. But photo’s tell a story and hence from time to time I’ll upload something I’ve uploaded to Picfair. 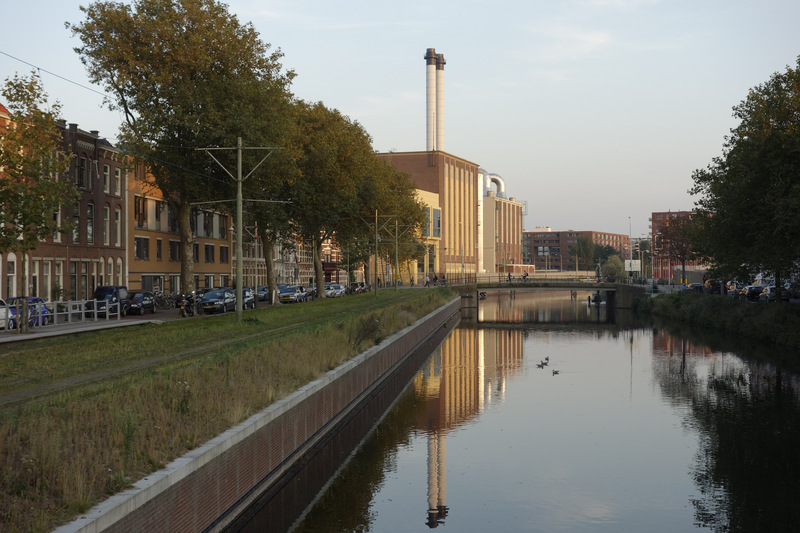 This E.on Power station is gas turbine powered and is located near the The Hague city center and actually around the corner where I live. Ha! And to stress I’m serious about keeping the site up, I’ve changed the theme into Twenty Fifteen. In addition with a click on the photo you’ll find a larger one with more details. The same herring eater as in the last post, but now with a view on the delapidated Pier of Scheveningen. The Pier has been bought from the bancrupt estate by a new consortium that promised the Pier will be in operation again in 2015. Let’s hope so. The 2014 new herring has arrived and is good. To celebrate this a photo of a sunset last year at Scheveningen behind the Herring Eater Sculpture in front of the Museum Beelden aan Zee.